Learning can come in many different forms. Some children prefer a hands-on (kinesthetic) approach, while others are more auditory or visual learners. 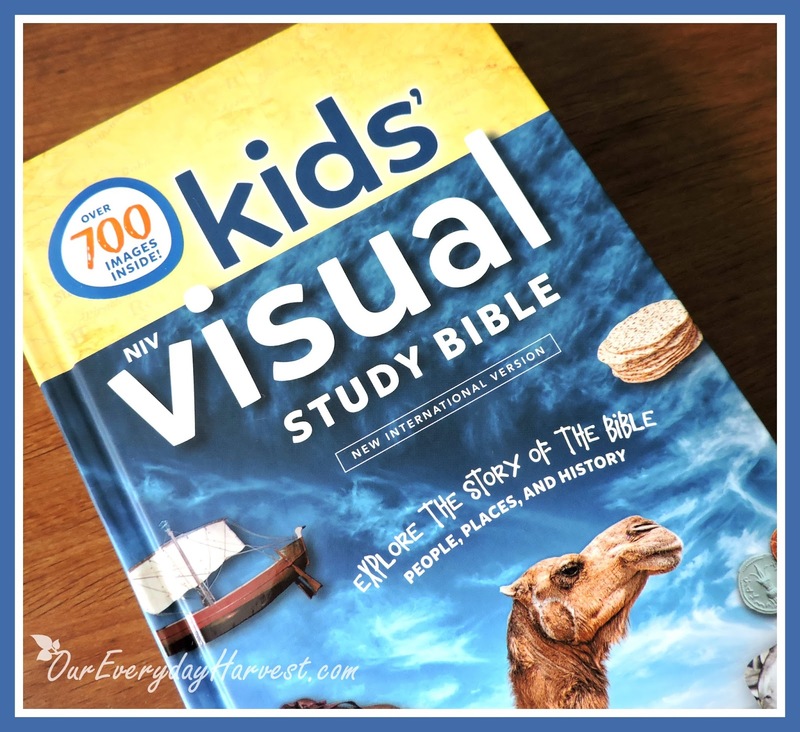 If you have a visual learner at home and are looking for ways to get them tied into the Word of God, then let me introduce you to this fabulous new Bible from Zonderkidz, the NIV Kids' Visual Study Bible. The Kids' Visual Study Bible offers the NIV translation, which is wonderful for children since it provides a representation of God's word in context that's easy to follow along to. 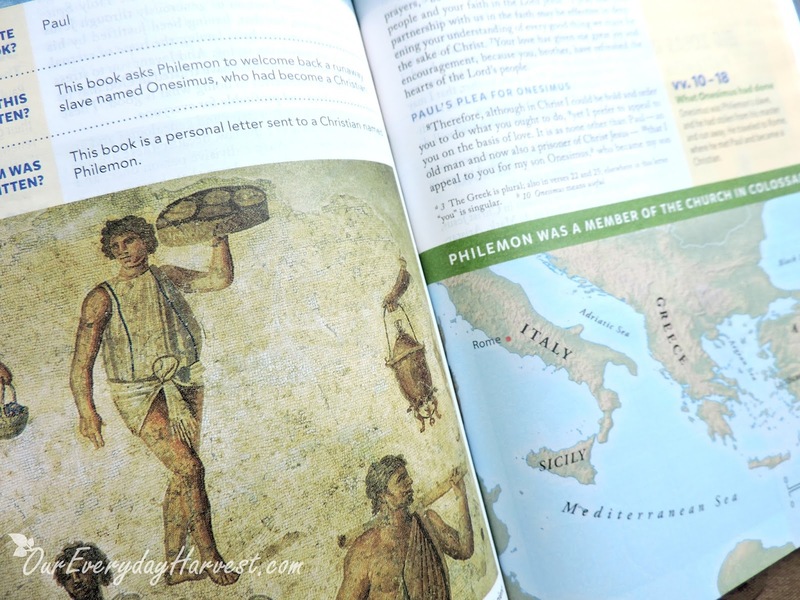 Not only can kids read the Word of God, but they'll also be able to understand the words more clearly. 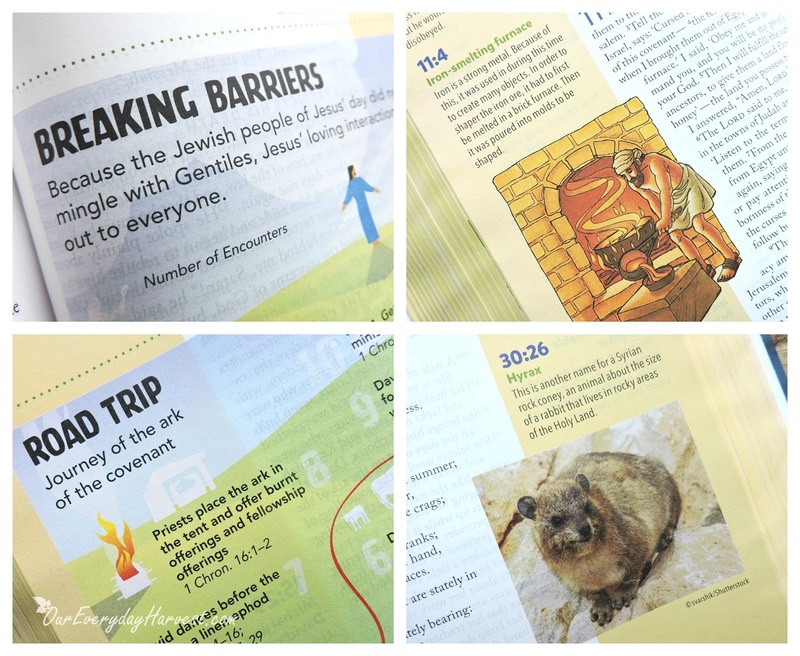 In addition to text that's easy to read, this Bible comes complete with full-color imagery to further enhance a child's Bible study experience. 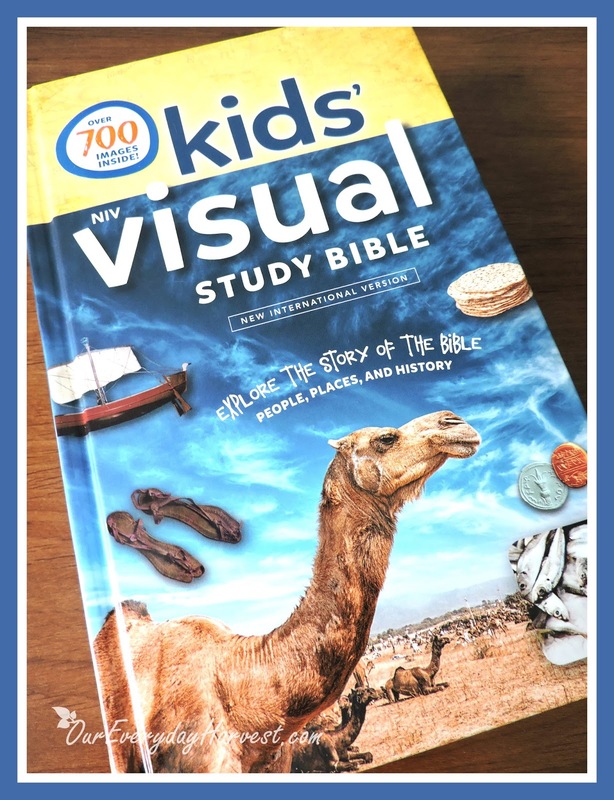 From photographs, to insightful maps, to charts and graphs, the NIV Kids' Visual Study Bible has no shortage of graphics–in fact there's over 700 of them to look at. This is a good time to reference back to my initial comment, above, about why this particular Bible is perfect for the visual learner. You see, the imagery isn't just set randomly throughout the pages. Each illustration or photograph offers some kind of significance to the book or Bible story being read. Additional text, and even scripture references are also notated next to the illustrations to see how they tie in with what is being read. This helps make each Bible story come to life! What do we learn about God in this book? Who is the key person in this book? The only feature that I did wish to see in this Bible was the appearance of red text to signify when Jesus is speaking. I particularly find it to be quite helpful, especially for younger readers who are just beginning to read the Bible. Of course, the many age-appropriate features included in this one do more than make up for it. Another one of my favorites, in addition to the book introductions and illustrations, is the infographics index. This is a handy feature that allows the reader to scan through an alphabetical list of all the graphics and images, so that they can be quickly found. It's so important to instill the Word of God in our children while they are still young. If you are seeking out a good study Bible that comes complete with features that will intrigue the minds of your child, then I highly recommend the NIV Kids' Visual Study Bible. 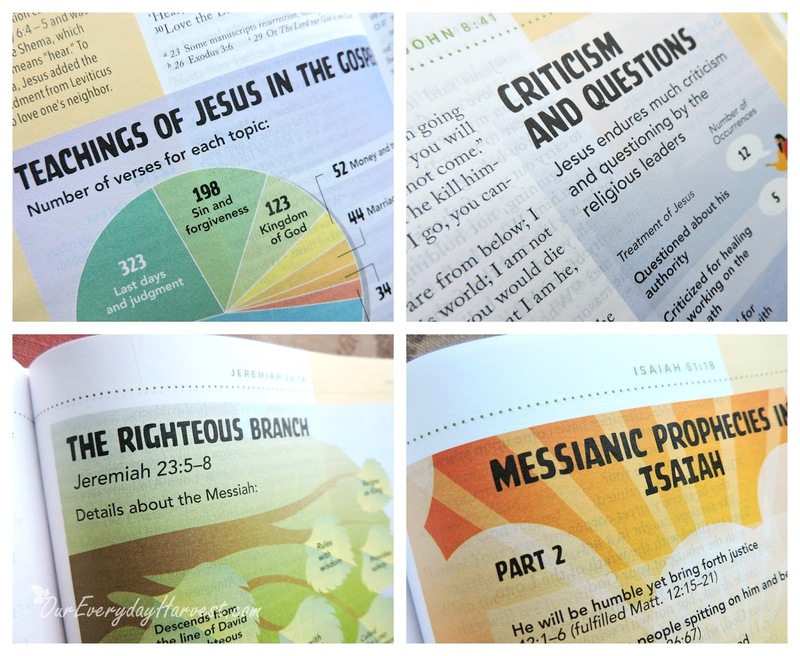 The illustrations throughout have already inspired me to create some pretty interesting Bible themed unit studies.